I was very excited to receive a package containing all three flavors from the new line of e-juice from Craft Vapery. In the crowded world of e-juice flavors I thought that I’d seen it all, but these three flavors are truly some of the most unique ones out there. If you’re looking for something different, read on. This flavor is billed as being a combination of honey butter and cornbread, and was the flavor I was most interested in trying out of the three. I love cornbread and I really love butter, so deciding to vape this flavor first was a no-brainer. One of my favorite things to do when I get new e-juice in the mail is to smell the bottle before I even open it. The juices that win me over with a unique scent before opening the cap are generally the ones that I know I’m going to like the best, which is something I experienced with the Cornbread flavor. The scent is more subtle than other e-juices, but much more complex. At first it smells just like freshly baked cornbread right out of the oven, and after you’ve been exposed to the scent for a few second I started to notice the complexity of the rich butter with just a hint of honey. I took a few hits off of this flavor and noticed that the inhale had a strong taste of cornbread, while the exhale really let the honey butter flavor shine through. With Thanksgiving just around the corner, this is an excellent fall vape that I would highly recommend. This flavor definitely takes the prize for having a unique flavor. Before trying this one I don’t think I ever would have thought that I would be interested in a rice flavored vape, but it definitely won me over. The smell of this one is more powerful than the cornbread scent, but is truly spot-on for the scent of mango and sticky rice. The juice gives a nice sticky sweet mango flavor, but the complexity of the rice flavoring gives it less of a fruity feel. If you’re a fan of mango flavors and you like fruity flavors that aren’t so….fruity then this is the one for you. This flavor is supposed to be a combination of whole grain toast and berry jam. Sometimes the descriptions that juice companies use to advertise their juices leave me scratching my head wondering what the hell they were thinking, but in this case the flavor matches the description perfectly. It’s Toast! easily has the sweetest, most attention grabbing scent out of the three flavors. It literally smells like I just opened a jar of strawberry jam. The flavor combines the sweetness that you would expect based on the scent with a rich nuttiness and slightly burnt taste (in a good way). 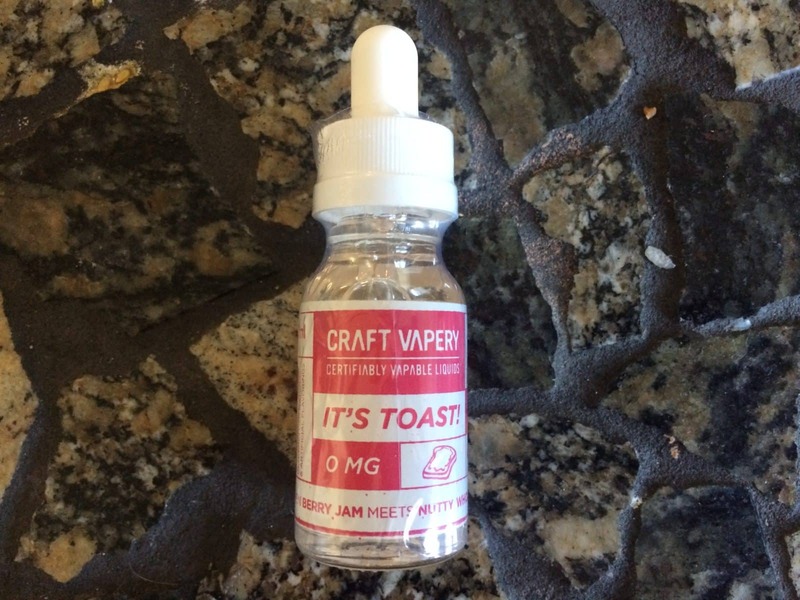 Vaping this flavor makes me feel like I’m ACTUALLY eating a slice of whole grain toast with a layer of strawberry jam on top. It’s that good. Out of the three flavors, I found myself appreciating the uniqueness and complexity of the cornbread flavor the most. But for some reasons I kept going back to It’s Toast! time and time again. There’s something about the authenticity of the flavor that truly stands out to me, so if you’re only going to get one of the flavors, It’s Toast! is the one to buy. The quality of the vapor on all three of these is truly amazing. The vapor is incredibly smooth, and provides a mild throat hit. It’s obvious that there was attention to detail in not just the crafting of the flavors, but in the quality of the e-liquid itself. All of these three flavors are available in 15mL, 30mL, and 120mL bottles. They come in 60/40 VG/PG ratio. The available nicotine strengths are 0mg, 3mg, 6mg, and 12mg. All juices were sampled using a Lone Wulf Mechanical Mod and RDA. Buy the flavors at craftvapery.com.